Getting involved with the Warwick Historical Society is easy! If you are friendly, outgoing and love to meet new people, and if you are interested in serving your community by making a small commitment of your time, please contact us. Membership Committee: This is the group of volunteers that send out renewal announcements, bring membership applications to meetings, and make earnest efforts to attract new members wherever they go. 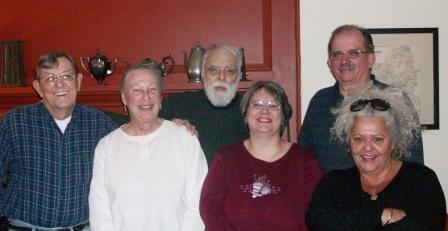 Fundraising Committee: This is the group of volunteers that plan and organize fundraising events on behalf of the Historical Society. Building Committee: This is the group of volunteers that make sure that the building and grounds are maintained and that periodic repairs and renovations are made to the building. Event Committee: This is the group of volunteers that arrange speakers, performers, authors, and facilitators to provide education & entertainment. Museum Committee: This is the group of volunteers that work closely with the Historian to index records, preserve documents, conduct information searches, and arrange the museum for public viewing. Publications Committee: This is the group of volunteers that are responsible for the publications of the Society including the WHS Newsletter. Arnold House Hosts: These volunteers greet visitors and provide tours of the Arnold House and grounds as needed.